Nick’s been getting ready for his close-up for a few months now and has started putting up Devlogs about Move or Die again. 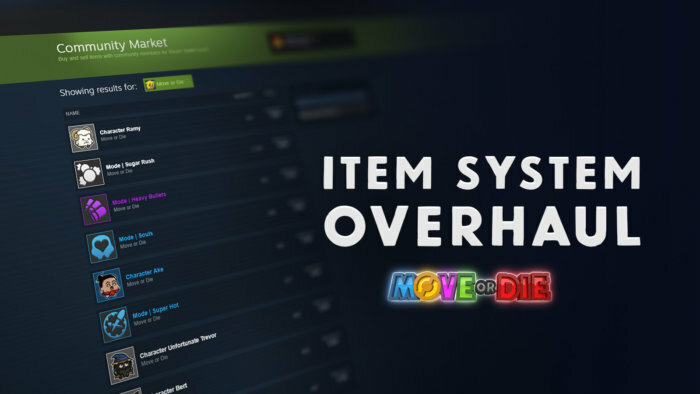 The first short episode covers the fix for one of the most reported bugs in the game, as well as Nick’s general thoughts on moving forward with bug-fixing and content creation for Move or Die. Check it out, it’ll take you less than a poop’s time. This is the third entry in our short series of whimsical interviews with current team members of Those Awesome Guys. Our third interview brings up Josh, resident computer-whisperer, to the mic. This is the second entry in our short series of whimsical interviews with current team members of Those Awesome Guys. Our second interview lines up Stevie, a man whose alphabet always starts with XYZ. If you missed our previous interview, Lidia gave some pretty nifty answers last week.